Union Minister for Road Transport and Highways Nitin Gadkari was in Goa, India for a two day review. 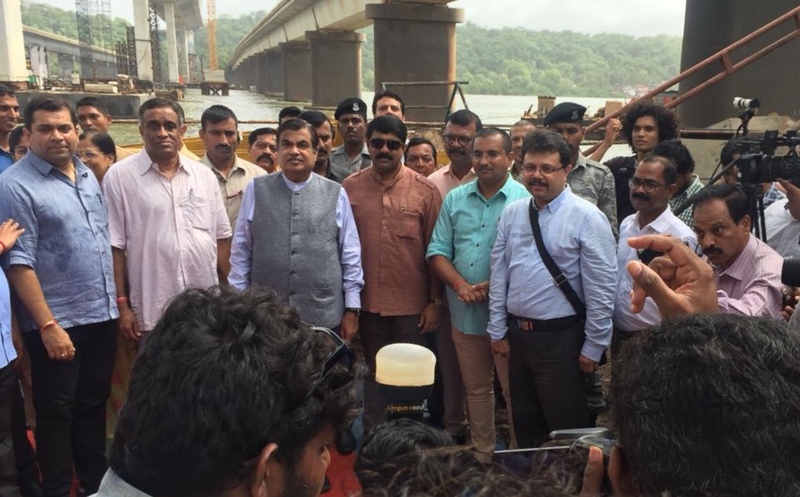 Union Minister for Road Transport and Highways Nitin Gadkari was in Goa, India for a two day review of the progress of ongoing projects of his department in the country. He chaired a review meeting of the ongoing projects of the Ministry of Road Transport Highways (MoRTH) and National Highways Authority of India (NHAI). Pictures of the same have been tweeted out by his twitter handle: https://lnkd.in/ftV-9KW Also seen in these pictures Managing Director of TPF Engineering Pvt. Ltd., Mr. Atul Bhobe accompanying Mr. Gadkari and other delegates during their visit to Mandovi cable stay bridge project site for cable stay part completion ceremony. TPFEPL is associated as the Project Management Consultant on this project.